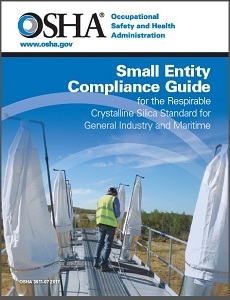 OSHA has released a Small Entity Compliance Guide for General Industry and Maritime to help small business employers comply with the agency's Final Rule to Protect Workers from Exposure to Respirable Crystalline Silica. Employees exposed to respirable crystalline silica are at increased risk of developing serious adverse health effects including silicosis, lung cancer, chronic obstructive pulmonary disease, and kidney disease. These signs are proudly made in the USA and available in 6 sizes and 4 materials: aluminum, plastic, vinyl label or magnetic backing. All are backed by our Compliance Guarantee and Lowest Price Promise. See our most recent sign additions here. OSHA recently released a new fact sheet to help builders and remodelers understand provisions of the OSHA standard for Confined Spaces in Construction (29 CFR 1926 Subpart AA) regarding spaces such as attics, basements and crawl spaces. A confined space that contains certain hazardous conditions may be considered a permit-required confined space under the standard. According to the fact sheet, the vast majority of the standard’s requirements only apply to permit-required confined spaces. Attics, basements, and crawl spaces in a residential home will not typically trigger these requirements. Federal OSHA says it will launch its long-delayed electronic Injury Tracking Application (ITA) on August 1. The web-based reporting form will allow employers to electronically submit required injury and illness data from their completed 2016 OSHA Form 300A. We'll see what happens. If your operation has lockout / tagout (LOTO) procedures in place, or if any LOTO is ever used, OSHA requires inspections of your procedure at least once every 12 months. But the OSHA compliance directive for control of hazardous energy is a whopping 136 pages of OSHA-speak. Fortunately, the safety training pros at weeklysafety have penned an article that explains what kinds of inspections are necessary and outlines best practices for LOTO inspections. Here are some key points form the article. LOTO inspection is are intended to ensure that the LOTO procedures in place are adequate. If they are not, corrections must be made. The inspector cannot be the same person using the LOTO procedure during the inspection, so there must be at least two competent, authorized persons present during any LOTO inspection - one inspector and one worker following the LOTO procedure. Don't limit LOTO training to specific machine operators or maintenance workers. All employees must know what LOTO means and what they should do if they encounter LOTO devices or signs while on the job. Read the full article at weeklysafety. Visit the OSHA LOTO / Control of Hazardous Energy page. Review OSHA General Industry Standard 1910.147(c)(6). Browse LOTO safety tags and LOTO safety signs and labels at ComplianceSigns.com. Workplace safety is a critical issue for every industry. However, for those who work in non-traditional settings such as in the woods or outside in the varying weather conditions, workplace safety takes on a new, even more important meaning. 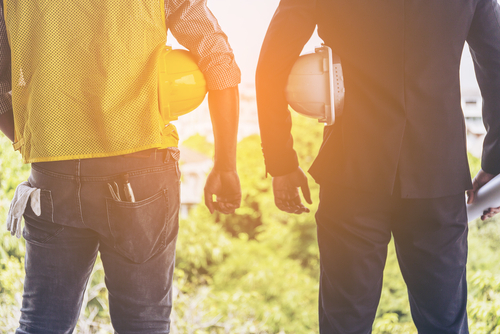 If you work in environmentalism, forestry, parks and recreation, or the like, read on for expert tips to ensure that you stay safe and healthy on the job. OSHA has announced a new enforcement policy that excludes monorail hoists from the requirements of Subpart CC – Cranes and Derricks in Construction. Employers will now meet the requirement if they are in compliance with OSHA's rules for overhead hoists and general training standards. General industry requirements for monorail hoists remain intact. The agency says the policy change was made in response to comments from stakeholders and in recognition that a monorail hoist – which is attached to a fixed monorail mounted on equipment such as trucks, trailers, or scaffolding systems – is significantly different from other cranes and derricks in construction. OSHA intends to consider rulemaking options to address this issue. A June 30 memorandum announced a temporary enforcement policy pending the resolution of that rulemaking process. On June 23, OSHA announced a new proposed rule on beryllium exposure that would modify the agency’s January 2017 final rule for the construction and shipyard sectors. Further, OSHA said it will not enforce the Jan. 9, 2017, construction and shipyard standards without further notice while determining whether to amend the Jan. 9 rule. In a news release, OSHA said the new proposal would maintain the requirements for exposure limits (permissible exposure limit of 0.2 µg/m3 and short-term exposure limit of 2.0 µg/m3), but revises the application of provisions such as housekeeping and personal protective equipment. OSHA said it "has evidence that exposure in these industries is limited to a few operations and has information suggesting that requiring the ancillary provisions broadly may not improve worker protection and be redundant with overlapping protections in other standards."